This show was broadcast May 15, 2012. Special Nakba Day edition of the KB show, featuring Franklin Lamb from Beirut, Lebanon! 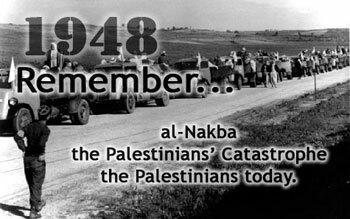 The Nakba – the ethnic cleansing of Palestine via mass murder and terror – may have begun in 1948, but it hasn’t ended yet. Netanyahu, a prime architect of the 9/11 false-flag attack on America, not only presides over the daily slaughter of Palestinian civilians, but yearns for a general Mideast war in which the remaining Palestinians could be driven out of historic Palestine and a “racially pure” Greater Israel established. Today’s guest, Franklin Lamb, say the Nakba Era is ending. The world in general, and the Middle East in particular, have had it with the apartheid Zionist state. In a series of blowback-blasts of poetic justice, the neocon plan to save Israel by blowing up the Twin Towers and tricking the US into destroying Israel’s enemy Iraq, and going to war with Islam, has failed. Iran’s regional position has been strengthened, Hezbollah has defeated the IDF in the 2006 war of attrition, Hamas survived Israel’s brutal attack on Gaza, and now Egypt and Turkey are about to become far more formidable adversaries than Iraq ever was. Franklin Lamb’s article Will Sadat’s Camp David and the Zionist Embassy be Next? discusses Egypt’s ongoing transition from obsequious slave of Zionism to bulwark of resistance. How many more years of Nakba must we endure? If Franklin Lamb is right, today, the 64-year-old state of Israel has a shorter life expectancy than an average 64-year-old human being. 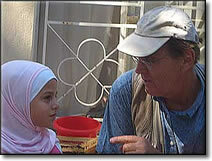 Dr. Franklin Lamb is Director of the Americans Concerned for Middle East Peace, Beirut-Washington DC, Board Member of The Sabra Shatila Foundation, and a volunteer with the Palestine Civil Rights Campaign, Lebanon. He is the author of “The Price We Pay: A Quarter-Century of Israel’s Use of American Weapons Against Civilians in Lebanon” and is doing research in Lebanon for his next book. Lamb has been a Professor of International Law at Northwestern College of Law in Oregon. He earned his Law Degree at Boston University and his LLM, M.Phil, and PhD degrees at the London School of Economics. As a Middle East expert and commentator, Dr. Lamb has appeared on Press TV, Al-Manar and several other media outlets. His articles and analyses have been published by Counter Punch, Veterans Today, Intifada Palestine, Electronic Intifada, Opinion Maker, Dissident Voice, Daily Star and Al Ahram. 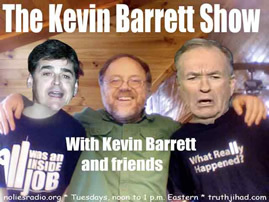 This entry was posted on Tuesday, May 15th, 2012 at 5:30 am	and is filed under False Flag/Fake Terror, Freedom, Justice, Kevin Barrett, News, Occupation, Protest, War Crimes. You can follow any responses to this entry through the RSS 2.0 feed.